If you are a video game and/or a cryptocurrency lover, then you definitely must be interested in listening to what we have to say today. But wait, cryptocurrencies. What do they have to do with video games? With the introduction of the blockchain and Bitcoin, a race has started to make everything digital and decentralized. From our real estates contracts, to our money, to our identity, everything is being redesigned to be taken to the blockchain. Some say the multibillion-dollar gaming industry is bigger than the movie business, so why should this $100 billion dollar industry be left behind? The gaming industry is going on the blockchain. The company behind it is GameCredits Inc (https://gamecredits.com/). With a market cap of $22M and sitting in the 31 spot in the Cryptocurrency ranks, GameCredits (GAME) (https://coinmarketcap.com/currencies/gamecredits/) is the cryptocurrency of this new ecosystem. They are here to solve some of the fundamental issues and friction points of the gaming industry. I would recommend you watch this short video on how the gaming industry works (https://www.youtube.com/watch?v=nq2YTdADSak) before we start. This video will help you understand what GameCredits is doing and why they matter. We consider it to be one of the best gaming cryptocurrencies – more on this on the link. Gamers (aka Consumers) – They play the games. Developers – They develop the gaming software. Distribution and Marketing – They market and distribute the gaming software. GameCredits’ primary initiative consists of developing a digital currency-driven gaming platform. This platform is focused on providing a secure, elegant, and robust system aimed at replacing existing in-game buying options and mechanisms. GameCredits is a project created for the gaming industry by the gaming industry. This is an open source peer-to-peer digital cryptocurrency that allows gamers to purchase in game content using cryptocurrency. It also allows payouts to developers and gamers. Google Play and Apple allow only credit card payments. On the other hand, GameCredits have thought about the PC gamers and expanded their deposit options by adding cryptocurrency in the market. It was incepted in 2015 under the name GamersCoin (GMC), but it was later rebranded to GameCredits (GAME). Until June 2015 their cryptocurrency price was only $0.00044 per GAME, but since June 2015, GAME had a real growth in value starting the 2017 year with a value of $0.2184. This means a 500% increase from its value since June 2015. GameCredits have a value of $0.3606 per GAME today. This cryptocurrency is projected to grow even more in the future, as they mobile gaming store launched a crowdsale on April 25th. MobileGo is their own gaming store. It has a proprietary payment gateway that will enable GAME to reach millions of new users and therefore, GameCredits will grow in value and reward their investors. They also provide an easy solution for the restrictions imposed upon gamers to how much can they deposit into a game. The deposit will have higher limits with GAME. But why would people use GAME if they don’t have cryptocurrency? Because their purchase with GAME will be more rewarding than one with a credit card. GameCredits is one of the fastest growing cryptocurrencies in 2017, and it is just a few steps from mass cryptocurrency adoption by the audience. GameCredits launched the game store and they hope that they can help the gaming industry by offering developers a new way to publish their games while also saving them about 20% in fees. The developers would get their payments faster, and also they can get their games listed on the game store in less than 10 minutes. GameCredits Inc. is headquartered in Sisak, Croatia. This company began operations in 2016 and includes people of diverse backgrounds who are experts from both the blockchain and gaming industries. The team consists of several original founders of the GameCredits (GAME) cryptocurrency, and each one is involved in the decision making process. The co-founders include Nebojsa Maksimovic (nicknamed Nele) and Aleksandar Mihajlovic (Alex) (https://gamecredits.com/2016/11/17/party-in-belgrade/), and they have recently partnered with Datcroft Games LTD (http://datcroft.com/) – a giant gaming development and marketing company having over 12 million registered gamers. Together with GameCredits Inc., they are committed to designing a blockchain-based in-game monetization platform and a frictionless payment gateway for the gaming industry. Note: This is a proprietary payment gateway (https://wallet.gamecredits.com/). It allows gamers to buy in-game content for the games listed on the GameCredits gaming store (https://play.gamecredits.com/). The founder of GameCredits was not that visionary in the very beginning, and GMC, formerly GamersCoin, had been all but abandoned by the original developers. However, the whole concept was supported and driven by Nebojsa Maksimovic (nicknamed Nele) and Aleksandar Mihajlovic (Alex) (https://gamecredits.com/2016/11/17/party-in-belgrade/) – two very pioneering co-founders. The duo saw a hole in the gaming monetization field. It is estimated (https://bitcointalk.org/index.php?topic=1010745.msg10966191#msg10966191) that there are 2 billion gamers in the world, and they immediately targeted the opportunity. Gaming needed digital currencies. That’s why they improved the original code and brought the idea to life. Visit here (https://gamecredits.com/#team) if you want to find more details about the GameCredits team. By using the GameCredits platform and the GameCredits cryptocurrency (GAME), 3 key players of the gaming industry will get what they want, which the traditional gaming platforms and currency cannot provide. Game developers – The traditional way brings many challenges for developers. They need to wait for weeks (minimum 60 days) for their earning to get processed, and, when their payment arrives, it is up to 30% less than the actual profit because of the publishing platforms like the Google Play and App Store who take their cut first. It is also important to note that there are some gamers who make fraudulent payments. In these payments developers lose their earnings. Gaming industry – The deposits are low for gamers and banking takes a cut for the deposits in traditional payment solutions and gaming platforms. This naturally affects the revenues of gaming companies. Gamers – In traditional platforms, there is a low amount of security and anonymity for gamers’ identities, gamers have low currency deposit limits, and they can’t transfer money or credits seamlessly across different games that they have earned in one game. As a result of the latter, they have to pay a fee to banks for making an in-game purchase whenever they switch games. By using the GameCredits cryptocurrency and their gaming platform, all of these issues can be bypassed. They can focus on idea creation and development instead of other problems. At the time of writing this article, according to CoinMarketCap (https://coinmarketcap.com/currencies/gamecredits/), the total circulating supply of GameCredits is 63,527,784 million, and the price of each unit is $1.74. This puts the market capitalization of GameCredits at $110.5 million. GameCredits (GAME) is primarily a technical clone of Litecoin (LTC) and is a mineable cryptocurrency which uses the Scrypt algorithm, with some improvements here and there specific to their gaming requirements. A GameCredits block is mined every 1.5 minutes, and 25 coins are generated per block reward. At present, there are 63,527,784 million units in circulation, and the total number of GameCredits to ever be produced is 84 million units. GameCredits is listed on many exchanges and, in our opinion, it is the most easily purchasable altcoin. It can be purchased in direct exchange of fiat via their special proprietary payment gateway and wallet. Changelly exchange platform is another easy way of purchasing GameCredits, and here you can exchange your other coins, such as ETH, LTC, or BTC, in exchange of GameCredits tokens. Using Changelly is extremely easy and everybody can do it. Get your GameCredits address ready where you would like to receive your GameCredits tokens. Second, you should have some other crypto coins to exchange for GameCredits. ShapeShift is currently supporting more than 30 cryptocurrencies (including GameCredits). ShapeShift is an exchange platform similar to Changelly, and here you can also purchase GameCredits by exchanging any supported cryptocurrency. Many people prefer using Changelly for a better transaction history feature to track their funds and better exchange rates. Purchasing an altcoin directly from fiat is very rare, and generally, when you need to purchase an altcoin, you need to first go and purchase BTC/ETH in exchange for fiat and then exchange that BTC/ETC coin for the altcoin. However, GameCredits (GAME) can be bought directly from their proprietary payment gateway (https://wallet.gamecredits.com/landing) in exchange of fiat currency like GBP, EUR, or USD via a credit/debit card. You can also purchase GAME through this wallet, using BTC as well. They are planning to add more cryptocurrencies and fiat currencies soon for users to purchase GameCredits. Though, the company claims it to be a specially designed payment gateway for preventing fraud, Web Wallet is a hosted wallet where you don’t have access to your private keys. However, it will become a go-to wallet for many gamers and cryptocurrency lovers if they somehow convert this into a non-hosted wallet. GameCredits is one of the oldest altcoins in the market, and since its inception in 2015, numerous wallets have mushroomed to satisfy the needs of various users. The Android version of the wallet is currently also a hosted wallet that doesn’t have the private keys, but the two-factor authentication makes your funds secure. More innovations are underway in GameCredits. There will be an iOS wallet soon. GameCredits is creating a blockchain-based app store. This store will be an alternative place where mobile game developers can sell their games. Users will be able to make purchases in the games using the company’s own digital blockchain currency, dubbed GameCredits. GameCredits will give 90% of the proceeds to developers, rather than just the 70% that Google and Apple share from their app store sales. GameCredits says it has signed up developers who have more than 300 games available for download from 150 developers in its app store. It has enabled a GameCredits payment system that is designed to benefit its developers, its investors, and gamers themselves. GameCredits hopes to remove the centralized institutions in the app business, and believes it can serve the smaller indie game makers as well as the big established game companies. 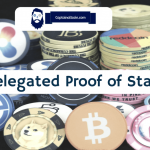 READ Cardano Staking Guide - When Can You Stake Cardano (ADA) And How To Do It? The GameCredits Mobile Platform and Store is a mobile gaming app. It hosts hundreds (and eventually thousands) of games. You can use cryptocurrency to pay for the games or in-game content. The proprietary payment gateway will allow gamers to purchase games and in-game content with cryptocurrency, and they can purchase that currency with credit cards and other local payment methods within the mobile app. Players will be incented by GameCredits to pay with cryptocurrency via discounts. The transactions are transparent and easily verifiable. This means that GameCredits can pay developers within 60 hours, rather than 60 days for the big app stores, and it only keeps 10% of the proceeds for itself, rather than 30%. It will use those proceeds to purchase more of its own cryptocurrency, which will drive the value of its cryptocurrency upward. This will help out those people who invest in the cryptocurrency. There are no chargebacks, and fraud protection is easier. Buyers can also stay anonymous. That might encourage them to purchase more currency. GameCredits will use its own currency to pay the developers. The developers will make more and more money from a given transaction if the currency price is always rising. GameCredits already went through an Initial Coin Offering (ICO), and the company raised $1 million to cover its development costs from investors at first. And then they raised more than $54 million in its ICO for its MobileGo tokens from more than 7,300 participants during the spring. The GameCredits team and their partnerships are looking more solid than ever, and the overall ecosystem has matured. Some people may easily say that their cryptocurrency has not done so well in the last 3 years. However, let’s understand that it takes time to break the conservatism and stigma of any industry. From 2015, the GAME crypto has grown steadily at a rate of +1500%. This rate is better than any other existing non-crypto investment instrument. If GameCredits is able to do what it says in the next 3-5 years, then investment in GAME would prove to be very valuable for low-risk investors. The gaming industry is worth staggering $100 billion dollars, and it is one of the hottest use cases for cryptos and blockchains. Even if GameCredits is able to grab a fraction of the gaming industry pie, then it will be reaping ample profits for its investors. Let’s say that GameCredits Inc. is able to get a 10% share of the market. This means that $10 billion would be used annually by developers and gamers, which would be around the same value for the market cap (which is now just $100 million). Moreover, there will be more demand of the GameCredits crypto (GAME) to access the games if the user base of the GameCredits store increases. This will lead to a price rally. Also, their recent move of launching an ICO for the MobileGo project (https://mobilego.io/) was extremely smart. The funds collected during the MGO tokens sale will mostly be spent on development and marketing of the GameCredits Mobile Store, and a big share will be also spent on direct marketing to acquire more gamers on the platform. This will, in turn, increase the demand for GameCredits. GameCredits is now ranked No. 36 in cryptocurrency market capitalization, with a value of $198 million, which suggests that the investors in the tokens are optimistic about the GameCredits currency. There are exactly 84 million GAME coins, with exactly 8 digits each which can also be mined. And if you want to buy some but don’t want to mine, you can get them from Cryptopia, Bittrex , Bitshares, Yuanbao, Poloniex or Livecoin. The company now has 150 people across seven countries, including several offices in the US, India, Poland, Serbia, Russia, and it will open an office soon in China. If it goes as planned, the award winning GameCredits should revolutionize the gaming industry. You can’t buy it directly for fiat on any exchange. You can choose the best bitcoin exchange for your region and buy BTC there, then trade it for GAME on exchanges. 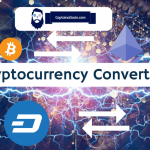 Learn here how you can instantly convert altcoins to bitcoin and vice versa. Our recommendation is always check if Coinbase is available for your country and buy there – as it is by far the safest and best regulated bitcoin exchange. Coinbase is legit and safe cryptocurrency exchange. If your country is not available on Coinbase – check for exchanges that are good Coinbase alternatives (such as Cexio and Indacoin – see here Cex.io review and Indacoin review) and buy BTC on one of those exchanges. You can always exchange your coins on Changelly (see if Changelly is legit), instantly and directly to BTC. Best and safest option to store your coins is to download an official coin wallet and store it on a hardware wallet – our recommendation is just go and buy Ledger Nano S, it is the safest option.You can read our review of Ledger Nano S or check out other best hardware wallets here. Felix Kuester works as an analyst and content manager for Captainaltcoin and specializes in chart analysis and blockchain technology. He is also actively involved in the crypto community - both online as a central contact in the Facebook and Telegram channel of Captainaltcoin and offline as an interviewer he always maintains an ongoing interaction with startups, developers and visionaries. The physicist has couple of years of professional experience as project manager and technological consultant. Felix has for many years been enthusiastic not only about the technological dimension of crypto currencies, but also about the socio-economic vision behind them.